Jake’s Legacy Campaign was set up to promote increased safety on roads for cyclists and pedestrians. Jake and his younger sister, Savannah. LOCAL AUTHORITIES WILL have to review speed limits in residential areas, following a campaign by the family of a young boy who was killed when hit by a car last June. 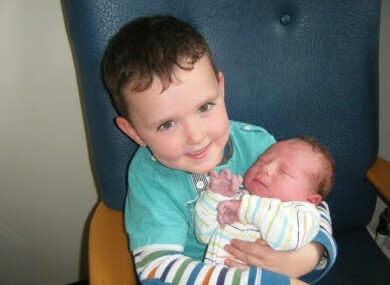 Six-year-old Jake Brennan died after being hit by a car outside his family home in Kilkenny. In the wake of his death, his family launched Jake’s Legacy Campaign in a bid to reduce speed limits and introduce mandatory speed bumps. Today Transport Minister Pascal Donohoe issued a circular calling on all Local Authorities to review speed limits in residential areas and housing estates to improve road safety for cyclists and pedestrians. After meeting with the group, Donohoe’s department carried out a survey on the issue. The research found out that about 14% of the 8,725 housing estates surveyed have speed ramps. €3,200 is the average cost of a speed bump. Excluding Dublin City Council, 135 estates (1.5%) have 30 km/h speed limits. Three residential areas in Dublin City have a 30 km/h speed restriction, namely Marino, Irishtown and an area adjacent to the South Lotts Road. Local authorities will now have to determine whether or not appropriate speed limits are in place. As part of the consultation they are also being asked if a 30 km/h speed limit sign should be accompanied by a yellow warning sign showing ‘children at play’ at the entry to a housing estate. Donohoe said that the most important objective of the campaign is to “improve safety for pedestrians and cyclists, and especially children”. Local Authorities have to submit a proposed timeline for implementing any new measures by 7 November. Email “Speed limits in housing estates to be reviewed after tragic death of Jake Brennan”. Feedback on “Speed limits in housing estates to be reviewed after tragic death of Jake Brennan”.